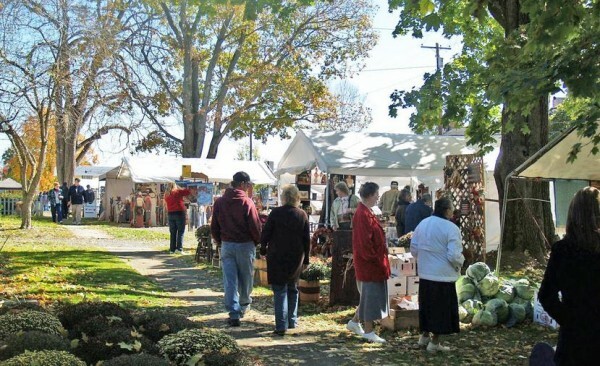 - Celebrate autumn and our area’s Pennsylvania Dutch heritage at the Aaronsburg Dutch Fall Fest, held Oct. 1-2 in town. The event will feature traditional food, craft vendors, and live music. Learn more here. - On Saturday, there will be a chicken barbeque held at the Baileyville Community Hall in Pennsylvania Furnace. For just nine dollars you get chicken, baked beans, applesauce, roll, and homemade dessert and proceeds benefit the renovations and upkeep expenses for the historic Baileyville Community Hall. - Saturday and Sunday features another weekend autumn festival, Centre Hall’s Farmer’s Wife Fall Fest. Enjoy family activities, crafts, homemade baked good, pumpkins, gourds, antique tractors, petting zoo, mini corn maze, and rides to the pumpkin patch. - And finally, Way Fruit Farm will be holding their Apple Cider Demonstration Day Saturday. Take a wagon out to the pumpkin patch to find that perfect jack-o-lantern, enjoy breakfast or lunch in the Cafe, taste this year’s apple cider, and more.